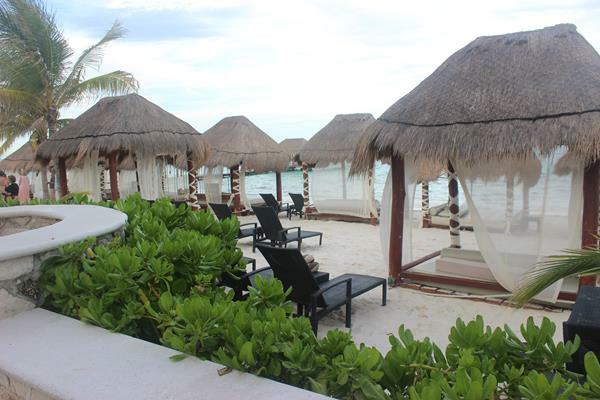 Karisma Hotels includes Generations Maroma, El Dorado, Azul Hotel and the Azul Sensatori Hotel. I had a chance to visit and explore all of these and it was such a treat. Read my previous posts about them here and here. There were so many things to love and many many reasons to go back again. I had a really hard time picking just 5 reasons to vacation there. The biggest reason for me is that each hotel was spectacular in terms of service, attention to detail, attention to kids and atmosphere. Here, after some self-arm twisting, are my absolute top 5 reasons to vacation at Karisma Hotels. 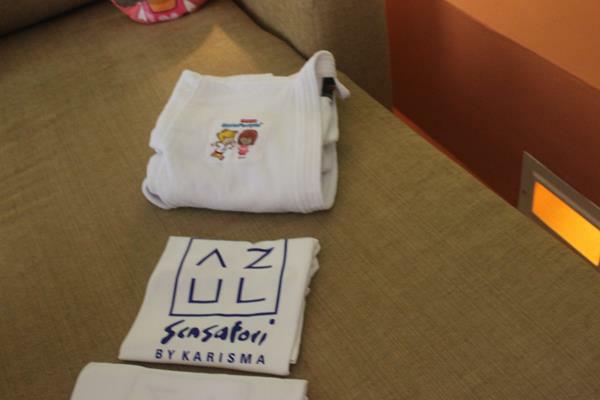 If you have a daughter, you must, you absolutely have to go to the Vassa spa with her at the Azul Sensatori Hotel. Why? Imagine all the things you love about the spa…in pink. The masseuse is dressed all in pink, right down to her pink wig. The massage bed is pink with pink stuffed animals. Your little lady can pick from an assortment of candy colored nail polishes. Someone dunked this room in pink and, if your girl is a girly girl, she will LOVE this. I had a massage at the Vassa Spa and it was divine. It’s the perfect addition to a dream vacation. Bonus: if you aren’t too comfortable with her doing it alone, they can pull up a bed next to hers and have you both get spa time together. I know I spoke about this suite in detail in my last post but my favorite thing about it is the mini plush robes that your little ones will be able to don. Kids love acting grown-up and this is a perfectly safe way for them to feel like they’re on a real vacation. The robes are printed with Little People characters, to add to the fun. Now, if only these came in a large size…..
It’s the little things, guys. It’s the little things like not having to get sand in everything and getting to sit on a comfortable bed while gazing out into the ocean and keeping an eye on your kids. It’s the ability to close your eyes (while your hubby watches the kids) and feel the warm Mexican breeze while listening to the ocean. It’s the privacy of your own cabana on the ocean. It’s the little things, I tell you. 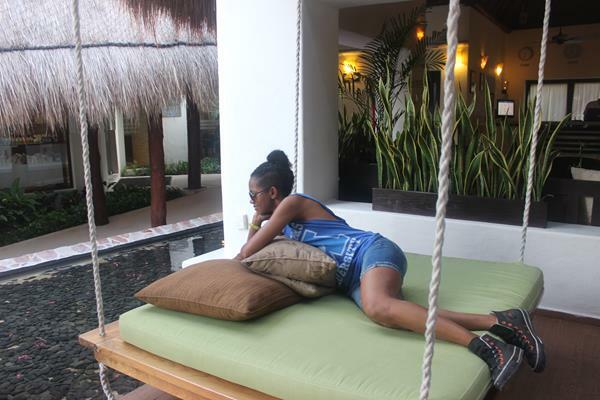 In the lobby of the Azul Hotel, there were these bed/swings that hung suspended by rope over ponds. It was kind of insane. It’s the perfect meeting point. You won’t even realize how late everyone is when you’re able to relax on one of these. Didn’t think this could get any better? Hold on to your seats because there are dolphins and you can swim with them. We were taking a tour of the grounds. We took a turn, went up some stairs and there it was….an entire dolphin area! 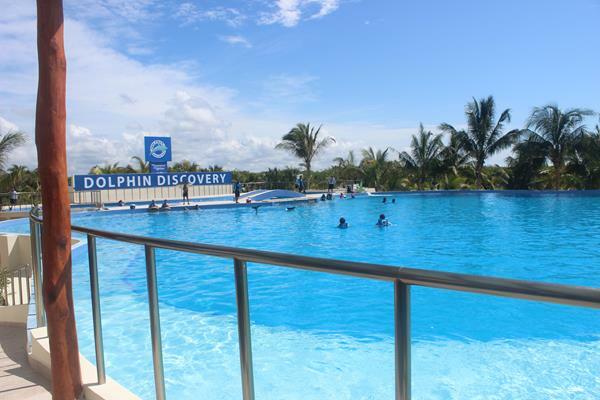 The dolphins have a massive area to swim and play and you can schedule time to come and hang out with them. The kids will LOVE this. My time at the Karisma Hotels was absolutely a dream. 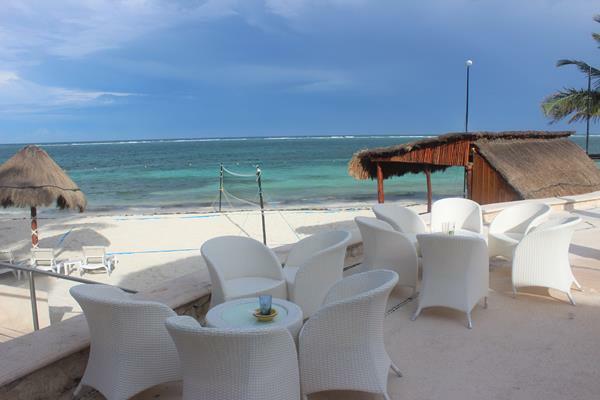 If you’re looking for a place to have a real vacation, the kind where you and the kids can have a fabulous time and also relax without sacrificing excellent (adult) food and exquisite surroundings, you might want to check out the Karisma Hotels for your next vacation. You will experience Mexico like you didn’t think possible. Accommodations and related amenities were covered. All opinions are my own. Scuba diving in Cancun is really fun!